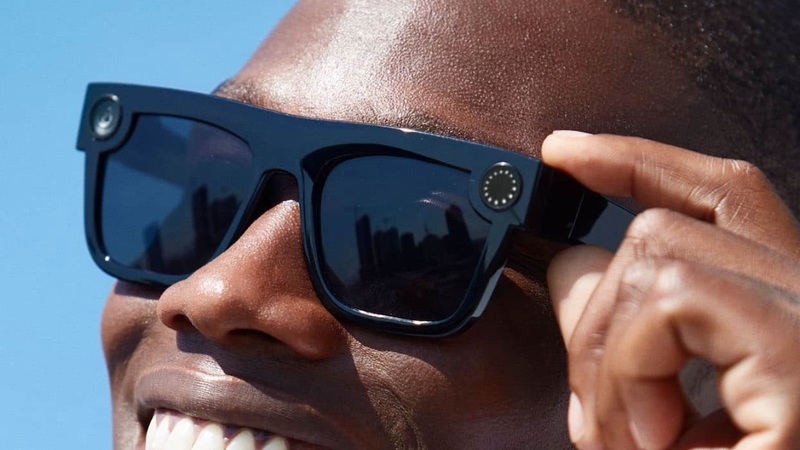 Snap has steadily improved its Spectacles smartglasses. The first version was great for vacations, but very limited, while the second iteration righted some wrongs but didn't go far enough. The third version look to push forward a little more. Cheddar is reporting that Snap is working on a pair of $350 Spectacles with dual cameras for release before the end of 2018. The new pair, which are codenamed Newport, will come with an all-new design and a more premium aluminum frame. Why two cameras? To be able to use AR overlays and create 3D-like images, according to Cheddar. The Snapchat app itself will be able to take care of this when you sync your photos and video to the app. One of the major appeals of Snapchat is all the filters and AR goofiness it can provide, yet that wasn't available to use on footage from the first two editions of Spectacles. You will be able to do that with footage from Spectacles 3; adding that fun is a good move. Snap's long-term goal is eventually to make a pair of AR smartglasses, and this pair is the next step in that iterative process. Of course, Snap still has a long way to go. It's one thing to put AR-capable cameras on a device, it's another to make the device powerful enough to project those AR images into the eyes of someone. Elsewhere, Snap's other hardware pushes seem to have fallen by the wayside. Cheddar reports that its effort to sell its cameras to premium eyewear companies like Warby Parker and Luxottica stalled, and discussions with Chinese drone maker Zero Zero Robotics didn't advance. Still, Snap CEO Evan Spiegel has big plans for hardware, with plans to develop more Spectacles "for years to come." Snap even hired ICON Aircraft COO Steen Strand to lead product design. The move comes over a year after it moved former head of hardware Steve Horowitz out of hardware and a couple months after Mark Randall, Horowitz's replacement, left the company. It's heartening to see that Snap is continuing to work on hardware, iterating on Spectacles until it's ready to become a pair of standalone AR glasses. However, it's also something that Snap has to do, as Spiegel sees hardware as essential to the company's future in an AR-first world.